Today i guided C.T. Drake from Adger, Alabama on a Trout adventure. I’m not sure why the names don’t match but we have got to be related. We have as much in common as anyone i’ve fished with yet. Other than catching all the White Trout one person could want, C.T. landed some really nice Specks. Our conditions were less than desirable with 17mph winds from the Southeast but he was a trooper as the Tarpon Bay 21 crossed the wind blown bay. During our 6hr trip we shared stories about everything from bow hunting to motorcycles and anything in between. CT is one heck of an outdoorsman with accomplishments such as huge trophy deer that he’s harvested with his Mathews Bow to fish he’s speared while diving. A tremendous amount of Trout were released during our trip and a good mess were in the icebox as well when we decided to call it a night and head back to the ramp. I know that C.T. and i will meet again in the near future in the woods or on the water but either way i’m sure i’ll have a blast just like this time. Until then Happy Holiday’s my Backstrap Brother and thanks for choosing Lost Bay Guide Service, i look forward to our next adventure. This week was packed full of great clients that i feel lucky to have met and been part of their time on the coast. With trips everyday this week and two someday’s i now know how hard it is for Capt. Eric Holstman to stay current on all of his postings. Capt. 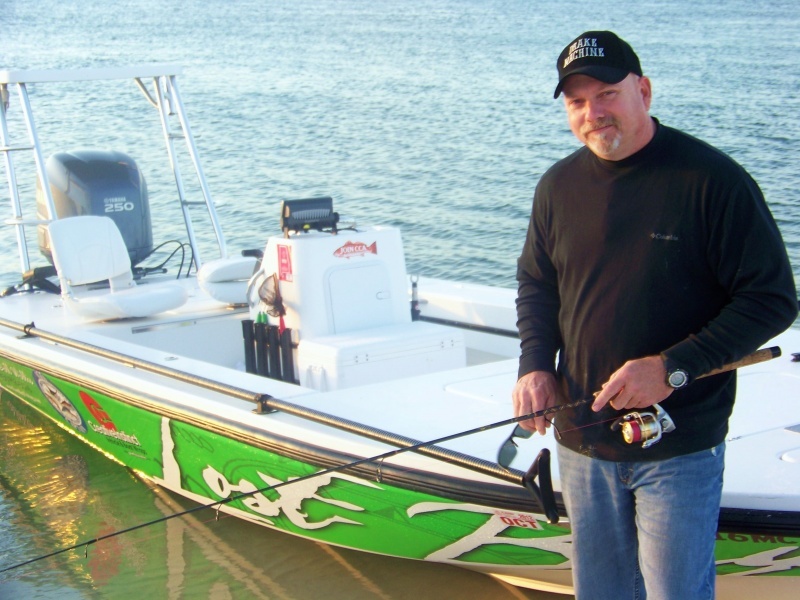 Holstman is the other half of Team Hamilton (Our web designer Randy Hamilton) and is usually booked solid at Redfish University where he teaches clients the art of shallow water fishing for Redfish. With special rates being offered book now to enjoy outstanding fall fishing.